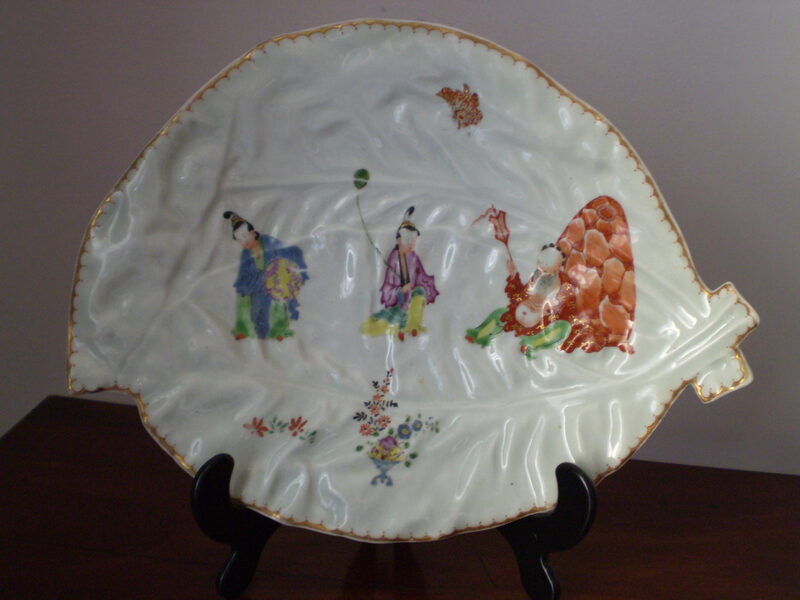 Description: A very good Worcester cabbage leaf moulded double leaf dish fluidly painted with the ‘Pu Tai’ pattern in polychrome enamels. C1758-60. 26cms wide.